Home / Loan / Are You Thinking of Applying for a Top Up Personal Loan? Are You Thinking of Applying for a Top Up Personal Loan? Top up loans, before we move forward and discuss how they are better than other loans, you should have the basic idea “what they really are”? Top up loans are basically a facility provided by banks or financial institutes that gives you an option to borrow certain amount of money over and above your existing loans. There’s no definite tenure for a top-up loan, it depends on your profile, repayment history, CIBIL scores etc. These loans are generally offered for longer tenure than the personal loans and the best part is the bank offers affordable EMIs to repay the top-up loans. It’s a kind of flexible option to meet your increased financial needs. How Top-up loans are better than taking a personal loan? 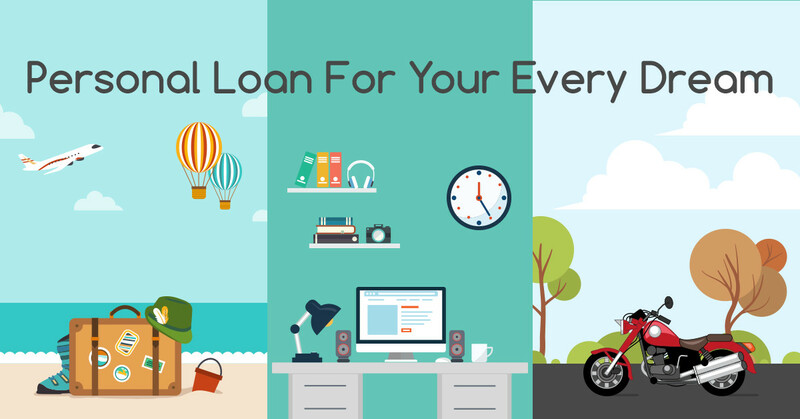 The most important, you don’t have to worry about documentations and approvals since you are already a customer to the bank and paying EMI of your existing loan on time, bank will easily approve your top up loan. Also, they will offer good rate of interest because you are already associated and in the world of business nobody wants to lose valuable customers. Another important feature that makes personal loan better than top-up loan is, you will get them for longer tenure cutting down on monthly instalment which means longer repayment tenure and lower EMIs. Which is not the case with personal loans which and they are generally for short tenures resulting in big EMIs, top up loans generally come with a tenure of 10 to 15 years. But the point to remember is, top-up loan comes with better interest rates than personal loan but not than home loan. You can avail top up loan from your existing bank or financial institution from where your existing loan is going on, but you can always balance transfer your existing loan to another bank that provides you with better features and then apply for the top-up loan. HDFC top up personal loan is one of the favourite choices among customers with attractive interest rates, simple repayment structure, hassle-free documentations and a maximum tenure of 15 years. The limit of top up loans varies bank to bank. However, basically banks or financial institute allows a customer to apply for top-up loan only up to the loan amount sanctioned under the primary loan availed by the customer. The requirement of extra fund can arise at any time for any important reasons, it can be for renovating your house, paying for your kids’ education, health, or it can be for clearing your debts. It’s basically a help for people who are in urgent need of funds, it allows you to borrow an extra amount on top of your existing loan. Reduce Loan Burden: It reduces your burden and help you in clearing your debt. Consolidating all the loans can help minimize the overall interest which is the main reason customers go for top-up loans. Separate or Consolidated EMI: You can also opt for a new loan that includes both your existing loan and new loan you are planning for. So, you will be able to get the single EMI for entire combined value, which is not mandatory and if you want to pay it separately then you have another option to get a new loan for new requirement so that you can pay separate EMIs for both, existing one and the new one. Minimal Documentation and Quick Processing: The documentation for a top-up loan is minimal because the customer already has an existing relationship with the bank and the bank knows about the loan repayment history of the customer. That’s why bank processes these loans faster than other loans which leads to fast disbursement. No Security or Collaterals required: Security is not a necessity in top-up loans, even a guarantor is not required. Which reduces the hassle and minimise the processing time as compared to other loans. That’s why for urgent requirements they are the best available options. Attractive Interest Rate and long tenure: The interest rate is quite attractive along with longer tenure as compared to other unsecured loans. This is also one of the main reasons for the popularity of top-up loans among customers, if they already have an existing loan. Tenure is basically based on the tenure left for existing loan, repayment capacity and loan amount you are applying. However, tenure of top-up loan can’t exceed the outstanding tenure of the original loan. Available for Balance Transfer: If your existing bank does not support the facility of top-up loans, you can transfer your loan to another bank that offers the facility in order to support your financial requirement. Tax Benefit: If you avail the top-up loan for constructing or purchasing a house you can get the tax benefit under section 80C. But if you will take the loan for purchasing a vehicle, plan a vacation, pay medical bills you will not get the tax benefit. The conclusion is, it does not guarantee that, you will get a top-up loan just because you have an existing loan with the bank. It all depends on your track record; your bank will check your repayment ability and other outstanding loans if any. The process to get the top-up loan is easy along with lots of pros when compared to personal loan but the final decision or approval completely depends on banks decision and your credibility. The amount that can be approved as a top up loan varies, from bank to bank. Usually bank doesn’t approve the amount exceeding the original loan amount. HDFC top up personal loan offers a maximum top-up loan of Rs. 35 lakhs to its customers. But remember even if you can get the loan easily because the competition in the market has given it an edge and there are many financial institutes ready to offer you a loan, don’t rush. Do a proper analysis of everything, starting with the amount, tenure as well as interest rates before grabbing it. Also, it is advisable to take the top-up loan only if its urgent and important because ultimately you have to pay it back with interest.